Most shows are pre sold through the Kastoria Music Club website http://www.kastoriamusicclub.com Tickets can be printed at time of purchase and should be taken to the show to be checked at the door. 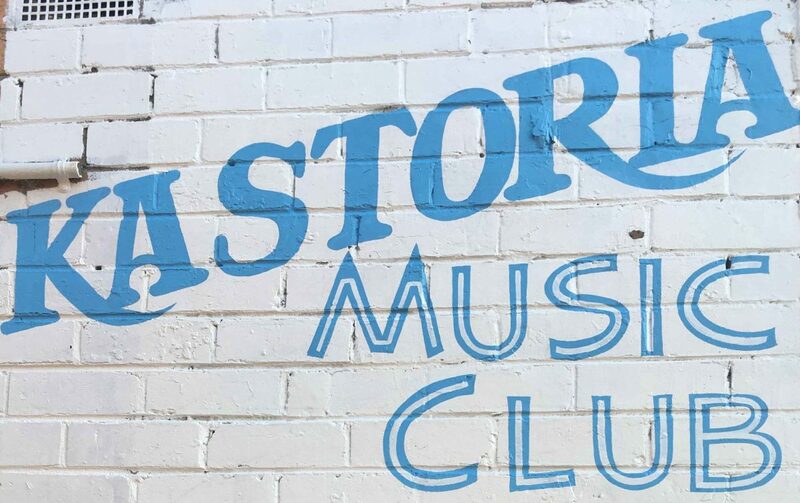 Bookings for shows and reserved seats or tables can also be made via kastoriamusicclub@gmail.com . Tickets can also be purchased at the door on the day/night of the show (if still available). The allocation of tables and chairs will be on a first come first served basis i.e. those that book first will get tables closest to the stage. Therefore you are encouraged to book early to obtain the best position. On arrival at the venue you will be asked to sign into the book as part of our Club License , when you present your ticket at the door. General admission tickets grant you right of entry into the venue, but do not guarantee you a seat. We ask that you carefully choose the show (and day/night) you are booking tickets for as there are no refunds or ticket exchanges available once payment has been made unless a show is postponed or cancelled. Please note that refunds will not be given for tickets in the instance of non attendance at a show unless there are exceptional circumstances.